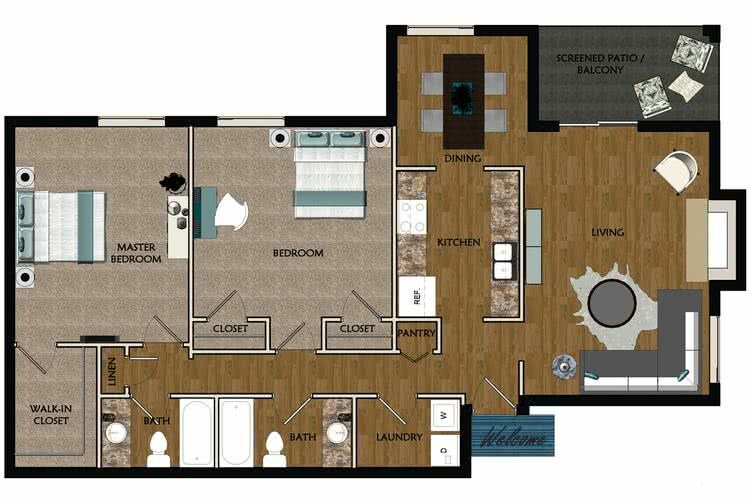 The Dogwood floor plan is a wonderful two bedroom, one bathroom apartment in Sandy Springs, GA with everything you would need in the comfort of your own home. With a full size washer and dryer, walk-in closet, separate dining room, and stainless steel appliances, it is easy to see why our apartments have a great homey feel for you and your family. 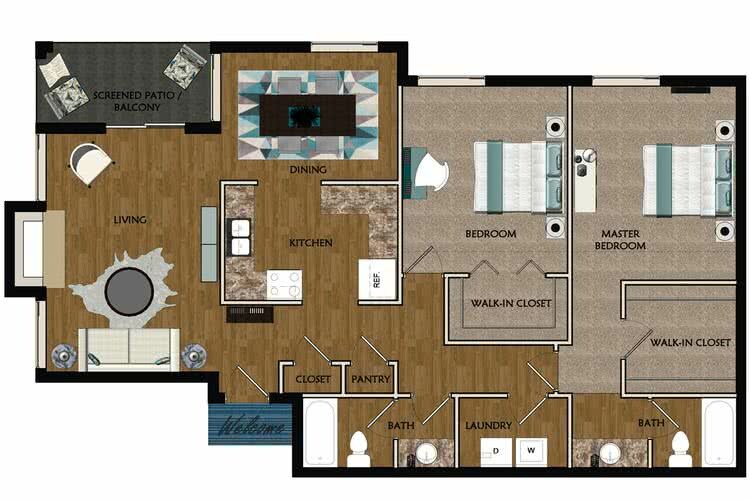 The Iris is a fabulous two bedroom two bath floor plan that offers the conveniences of apartment living, while still making you feel at home. With a laundry room big enough for a full size washer and dryer, abundant closet space, a separate dining room area, and a screened patio, it really makes for a comfy homey feel that no other community has to offer. 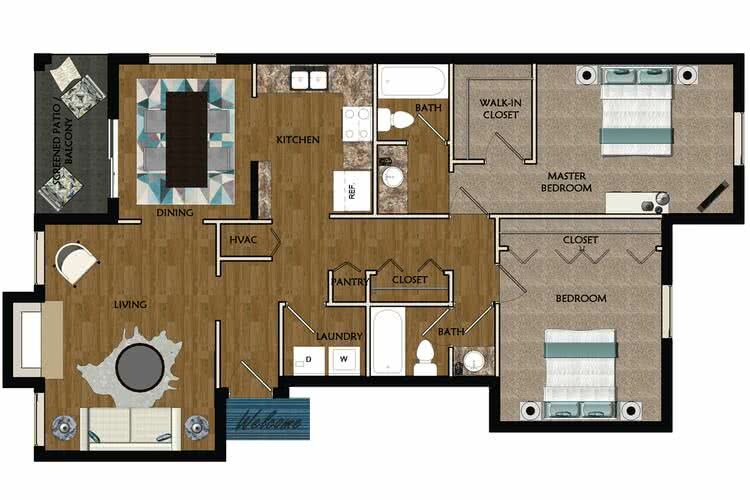 The Laurel is an incredibly spacious two bedroom two bath floor plan that offers more than you would need, and feels just like a home. The abundant designer countertop space in the kitchen is perfect for entertaining, or relax on your sofa in the living room. 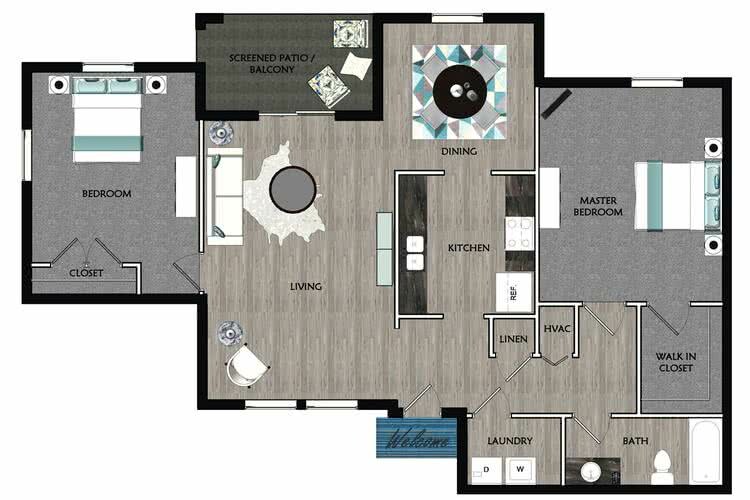 The Lily floor plan is a two bedroom two bath that has so much to offer. The custom designed kitchen is perfect for entertaining a group of friends or quiet nights with the family. The open floor plan with spacious closets feels just like home.